A therapeutic treatment gel that soothes muscle aches and pains. This best-selling body gel treats aching muscles by using the powers of Rosemary, Black Pepper, Lavender and Ginger essential oils. After a long day at work, or an intense workout, give your aching muscles the love they need. 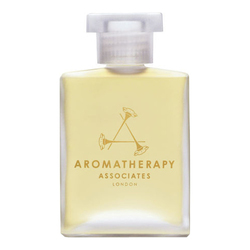 De-Stress Body Gel instantly cools aches and pains, then warms muscles over time leaving them feeling soothed.